Excerpts from the book "COSMIC JOURNEYS" by Rosalind A. McKnight. Journey to the Year 3000. Published in this website on September 19, 2004. "It’s around the year 3000. I’m on my platform (out in space) (as in the Acart-ufo-case from -58-rø), and there seem to be many different types of platforms out in space. They are all extensions of the earth. There is so much activity out here. I’m not alone on my platform anymore. "The face of the earth has changed. There was a great need to expand, and much of the expansion went outward, away from the earth. Many changes have taken place on and around the earth. "There is a lot of activity â€”and a lot of communication. The earth has expanded its levels of communication. People are flying around in different shapes of spacecraft which seem to be coming and going from these different types of platforms. Some platforms appear to be stopping-off points for people who are traveling out to various points in the universe. People have changed in their appearance, and in physical nature. Overall, they are taller. "Looking at theUnited States from this distance, it appears it is not nearly as wide as it was. There must have been some drastic changes on earth. Land has appeared in the ocean areas â€”as if some land has gone down, and other land has come up. It is all so completely different that it is hard to recognize things. "Something is happening in the ocean water. At different places I can see something sticking up out of the water. I’m being told that these are exhaust pipes for cities underneath the water. "There is also a difference in the climate. The warm and cold areas on the earth have changed. It’s almost as if the north and south poles are at different places than before. "Little circular vehicles with glass tops seem to have taken the place of automobiles. I can see a family in on. The vehicle seems to be propelled from somewhere underneath. There are landing platforms in the water where the vehicles can land and submerge right into the water. Evidently this type of vehicle can travel through water as well as in the air and on land. The family I saw flew down to the water, landed, and disappeared. "I’m seeing many different kinds of people. I’m receiving the information that there has been communication with beings from other planets â€”and that the earth has become a universal melting pot. 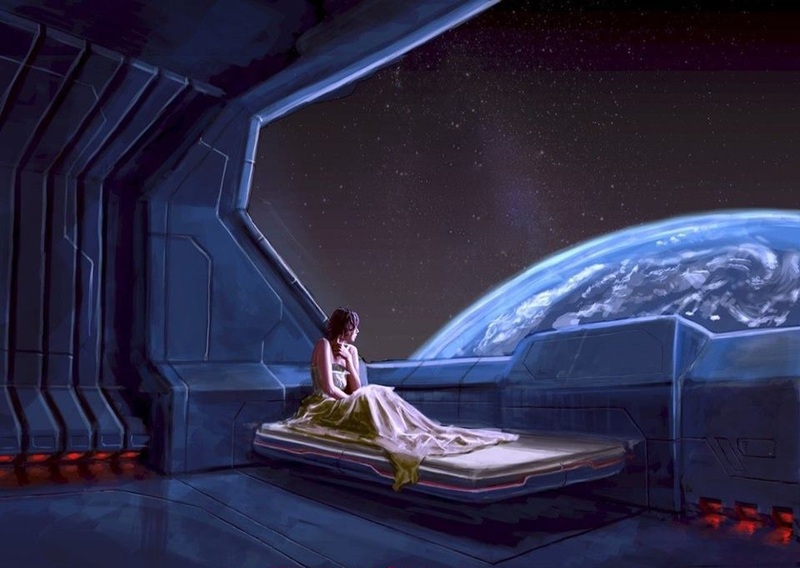 We used to just travel on the earth; but now they’re traveling out into the universe as an everyday experience. I mentioned seeing people that are taller. I’m told that this is just one type; the people in the spacecraft looked very different, like beings from outer space. "I’m being told that there was a point in the history of planet Earth when patterns of very negative vibrations built up. Then a pattern of gradual shifts took place over a period of about 200 years, beginning around the early part of the twenty-first century. It was at this point that assistance came from beings from other parts of the universe in the same way that nations come to each other’s aid when help is needed. "These extraterrestrial helpers had been observing and working with us on many different levels of communication for centuries. They are the ones that I was privileged to have some brief encounters with in some earlier sessions. They were able to come in and work out a pattern of communication to give help and pointers on how the earth could be rejuvenated. People on the earth were ready, prepared for this breakthrough into a new stage of development. "I can see a thin line. I’m not sure what the line means, but it seems to start back in the late 1900s. A type of meter shows that some unusual earth activity was starting to take place at that time, just before the year 2000. A kind of needle is showing the vibration rate, the speed of the changes. There was a period during the early part of the 21st century when shifts took place more rapidly. Then they continued to take place a little slower for almost a fifty-year period. After this there were a lot of little shifts taking place gradually enough that people were aware that things were happening, but not as dramatically. 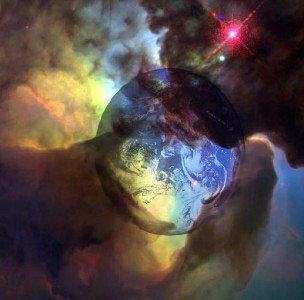 "Thus, in the early part of the 21st century there were major shifts on the earth, followed by a series of minor ones. There were some major things happening throughout the universe. There were pulls on our poles. 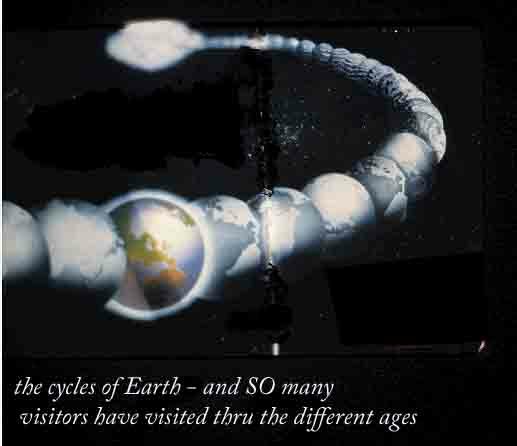 It seems there was a lot of activity in one part of the universe that directly affected our earth. "In fact there was a major shift in the universe â€”something to do with black holes â€”that directly affected us. During the twenty-year period of major shifts there was a lot of strain upon the earth caused by outer forces in the universe. The earth is like a young child in the solar system. It’s still very strong, and can endure a lot of stress and strain. it still has several growing stages to go through." "The highly evolved space beings had taken many people onto spaceships and implanted communication devices in their brains. At a certain point in time, these people remembered their contact and were immensely helpful with the communication process." "The space beings that came in contact first were those who were responsible for the earth and worked carefully to map out a plan of communication. Also, we had some knowledge and energies that were helpful to our friends from outer space. After communication opened up and the work began, our whole energy system and method of using energy changed. This was when we were able to freely go into the earth, and away from it, for living and traveling. "But there were beings from outer space that made contact with planet Earth who were not friendly and did not have the best of intentions. They also had been in contact with the earth for some time and abducted and implanted many humans. But the evolved aliens could also use these implanted devices to communicate, and did so for our greater good. We had gained enough power over our own earth that the unfriendly aliens were not able to take us over. "It was around the year 2500 when we were involved in a space war with these beings. But it didn’t last long, because a balance of power took place, with our highly evolved alien friends from outer space helping us. The evolved space brothers knew a lot about the habits of the non-friendly aliens that they had also been tracking for many centuries. Also, we had saucers and all the space technology they did. "One of the most important changes that took place was our use of our own human energies. We were taught how to use our energies much more fully than we had ever done before. Certain people were chosen to be taken aboard spaceships for special training. Humans were trained not only in how to conserve and use energies that come from the earth, but also in special uses of the mind. What I am doing now â€”traveling out into all dimensions â€”is something that was taught to many. "Earth beings were given extensive training on how to use their energies from points within. There are several energy points within the human body that can be used for specific purposes â€”such as tapping into special knowledge and traveling into different dimensions. Much travel can be done just through using the mind. This is how space beings were first able to send communication directly to us, through the invisible wavelengths of the mind. "Those people who received special training on energy use traveled back to the earth and began training others. We were told that if we used what we were taught in a negative way, for power or destruction, it would be taken away from us. We were also shown how to use special light-beam energies, with which we created different types of mechanisms for living and travel. "Not everyone in the year 3000 uses this energy â€”just as now, on the earth, not everyone uses the same kind of energy. Many use it, but not everyone understands it, in the same way that people drive automobiles now, but may not understand how they work. Most everyone is using the energy in some way to function. "There are many in leadership positions who are more highly developed than others." "The world is all one country at this point. There was a period during the breakdown when the whole world had to work together to survive. Some countries were completely destroyed. During the breakdown period, everyone had to help others and to combine their energies for survival. So the energies that are used in the year 3000 are used by large numbers." "There was a complete change in religious concepts. There is now an overall universal knowledge. Many of the old, localized concepts that separated people on earth broke down â€”then the helpers had to come in from other dimensions. People realized why the Christ, the highly evolved being, had stepped into history many years before. The purpose was to show the true nature of man. "If humans use their complete potential, they will live in the higher energies that the Christ is. Therefore, they will become one with the universal energy, which is "God" in human terms. There was also a universal understanding among religious leaders from many of the different types of religions as to humanity’s purpose: to live at one’s highest God-potential. "It was just after the period of breakdown that the highly evolved Christ-like beings, with great love energies, came into planet Earth. It was then that the universal realization came that there is no being so high above others that we must worship him; rather, we all have the potential to evolve into the highest Christ-like form â€”which was the commission that Jesus the Christ left to the world when he said, ”Greater things will you do than I." "In their lower state of consciousness, humans used the term ‘miracles’ for what is an everyday occurrence now. When the earth changed, humans had to change their limited concepts of self and nature. 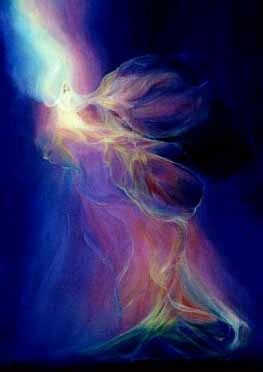 There was a complete shift in consciousness, and people operated from their own inner energies. 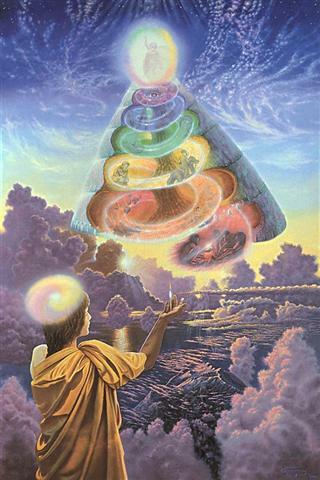 They worked with the higher universal laws and evolved into a oneness with all forms of life. "This is when there was a breakdown of the old concepts and the emergence of the universal religion. It is a form of religion in which people are absolutely in tune with their own being, in tune with the universe around them; they are living the principles of oneness rather than just talking about them. After the breakdown period, man was forced to use all of his higher potential in order to survive on the planet. Question: In the year 3000, what is man’s knowledge of what we call physical death, and the hereafter? "There is no fear of death â€”because at this point in the history of the earth, humans are traveling freely outside of their bodies. They are traveling in many forms â€”still using the physical vehicle for specific purposes, but traveling into many dimensions through special uses of their own energies. At this point in history there is no concept of death, because people know that there is no death, but only a transposition into higher energy forms. "It goes so far beyond what we know now as communication that it is hard to describe. 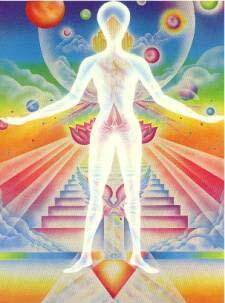 People can travel out into all levels of universes through the body, mind, and spirit. Humans have lifted all the old barriers and restrictions that they had put upon themselves. "The lifespan is over a hundred years. Because people are utilizing their energies as they should, they decide at what point they want to drop the physical body in order to work on a different energy level. The average time of leaving is well over 100. So many even decide to stay in their physical bodies, for specific purposes, up to 200 years. "However, the whole nature and texture of the physical body has changed. It is much more highly evolved. It appears that humans have evolved from the denser physical into the etheric-substance body. "People are born in the same manner but, again, the process is much more highly evolved. 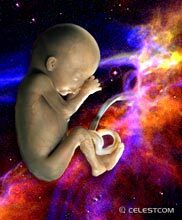 There is complete communication with the embryo from the time of conception. Schooling begins at the moment of conception. Therefore, the birth process is much simpler â€”because the child takes more responsibility for its entry into the physical plane. "The child has a complete understanding of what is happening in birth. There is pure and absolute communication on the mental level. There is no pain or difficulty for the mother. The whole process of birth has evolved. Even hospitals are different, and there are no hospitals as we know them today."